Janakiram MSV has a nice post on Forbes explaining Google’s Anthos. Janakarim starts off with a description of the current state which I totally agree with. The core theme of Anthos is application modernization. Google envisages a future where all enterprise applications will run on Kubernetes. How does Google Anthos relate to AWS and Azure? Janakiram did a nice job of putting into one post that can be so hard to figure out what Anthos is. I have lived in Seattle, well actually Redmond for 25 years and I have no plans on moving. I was given an offer by Microsoft to leave Apple in 1992 and I said to myself, "something is going on in Redmond and the only way I am going to find out is to move there. If I don't like it I'll leave." With Microsoft's strength in software it supported an ecosystem that made it easy for Amazon to create Amazon Web Services, hiring some top Microsoft people while importing many others. 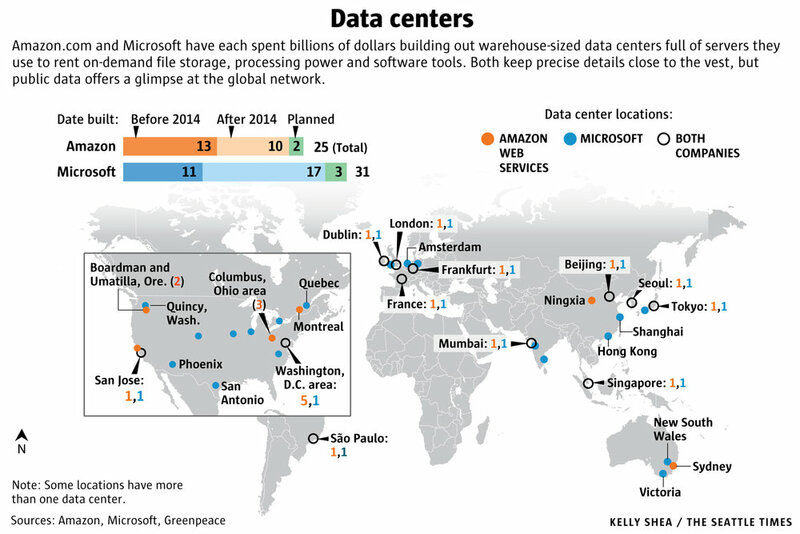 Now the Seattle area is a Cloud Hub with Google, Salesforce, and so many others. What is a little known fact is Oracle is hiring aggressively for its cloud group and I know so many ex-Microsoft people who now work for Oracle. Bet you they never thought when they left Microsoft they would eventually end up at Oracle. Here is the press release that says Oracle is hiring 5,000 people in the US for its cloud group. I need to have lunch with some of friends who are now at Oracle. I used to have lunch with friends who were at AWS when they first made the move. We'll see how quickly Oracle expands its Cloud footprint. Data Center Knowledge has a post on a cruise ships data center. Reading the post it is a classic active-active design with locations is stern and bow. The IT company has installed the system in 6 ships. Heider’s team deployed DataCore’s SAN virtualization software to simplify storage management and ensure high availability. The software synchronously mirrors data across two data centers on each ship, so if one of them fails, the other takes over automatically. “It’s really good software and easy to use,” he said. What was an interesting fact is there are 9 months allowed for planning, testing, and installing. What comes to mind is the huge opportunity to apply cloud methods. the below image is from a DCD webinar. Google's Joe Kava presented at its Cloud Event. Go to the 5 min mark in the below video. Open a Chrome or Firefox browser and you can take this DC 360 degree tour. Wouldn't it be great if Amazon and Microsoft responded in a similar way? If you don't like watching videos there are a few news articles that report on the above.